During a webshop relaunch, unexpected problems will always arise – you don’t need the extra pressure from not having enough time to find solutions. Be extra forgiving when it comes to time, because when it comes to a relaunch, you have to expect the unexpected will take place at one place or another. Golden rule: planning well ahead saves you considerable money – subsequent changes are always associated with extra costs. For any projects with special requirements, I highly recommend working with a Shopware partner. These are certified and experienced agencies who know the best practices when it comes to building custom projects with Shopware. What should the shop be able to do? Which functions are required to realize your goals? What data must be exchanged between the ERP system and shop system? What data should be migrated from the old shop system? Of course, certain aesthetic requirements have to be met. In the first step, ideas can be very easily collected using just pen and paper. What are the current trends (for both usability and visuals)? Take a look at what the competition is doing and collect links and screenshots. How can you maintain your corporate identity or brand elements? How do you want to go about creating your brand experience? Is your product offering intensely diverse? How can you make sure the customer is connected with the right product? Remember: returns cost you money! After collecting all of your ideas, I recommend transferring all of your requirements to an Excel sheet, which I called my “Product sheet”. Here you can note who is responsible for each topic, which ensures nothing is overlooked. Using Dropbox made it supremely easy to collect everything in one central place. It’s best to create separate folders for each subtopic: i.e. master data, checkout, emails, images, etc. Map out which system will be responsible for the customer data, orders, product master data, etc. Do you want everything stored in Shopware or rather pieces of data in your ERP? Be sure to check whether an interface to your current ERP system already exists with Shopware. Consider which payment methods your customers traditionally use: PayPal, credit card, through an account, etc. It’s smart to offer your customers several vendors, and – if you operate internationally – the payment options they use most. It’s best to choose a plugin that already exists for Shopware, as this saves you considerable time and work. Perhaps the most celebrated step of the relaunch process: finally toasting to a job well done! How can follow how these ten tips look in action in our blog, where we follow Peter and his team through the relaunch of their two shops, Amplid and Pally'Hi. 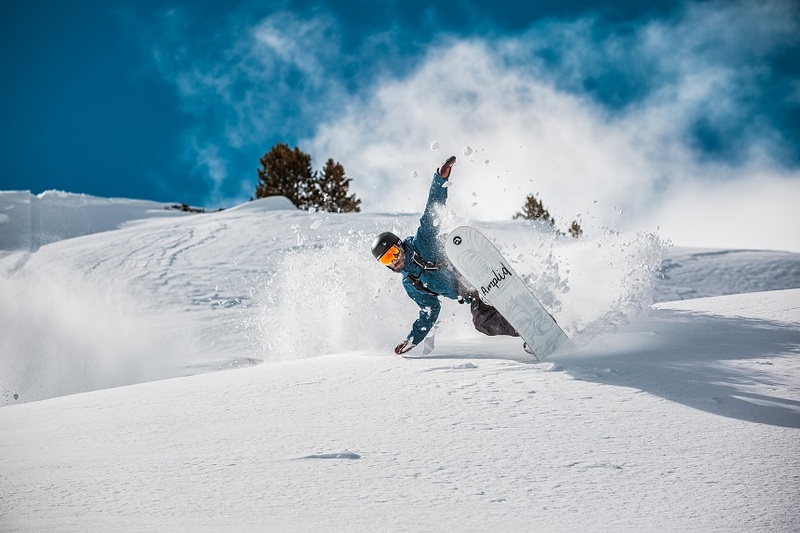 Peter Bauer is a multiple World Cup winner in Europe and worldwide for snowboarding and has turned his passion into his profession. Peter is the founder and CEO of the successful board sports brand, Amplid, and Merino apparel brand, Pally’Hi. In addition to classic B2B and sports trade, Peter operates online shops for both brands using Shopware and sells to international end-users. Are you planning to relaunch your shop and want to learn more about this topic or have individual questions? Then simply call us at 00 800 746 76260 or send an email to info@shopware.com. We are happy to advise you! Are you planning on migrating to Shopware? Download our free Migration Whitepaper and gather important tips and advice for one of your most important business decisions to date..